Low-fat diets reduce your intake of essential vitamins. Find out why fat-soluble vitamins E and K are crucial to your health, and which foods you can seek out to meet your daily goal! Vitamins are a group of essential fat-soluble or water-soluble compounds that are necessary for our bodies to perform properly. This includes processes involved in cell functioning and growth. They are deemed "essential" because they must be obtained through the diet; without them, you wouldn't live to see another round of box jumps—although some days that may seem like a good thing. So while protein often gets all the glory among fitness fanatics, vitamins are a major player in health and wellness as well. Sadly, the standard American diet, which is replete with processed foods, doesn't do a very good job of obtaining the most important vitamins in optimal amounts. Some vitamins are pumped back into refined foods like white bread—hardly the best way to get what you need. But if you buck the trend and focus on consuming whole-food-based, vitamin-rich foods, you'll be supplying your body with many of the raw goods it needs to perform at its best. E and K are both fat-soluble vitamins that provide an abundance of health and performance benefits and should not be taken lightly. Unfortunately, certain approaches to nutrition, such as adhering to a low-fat diet or skipping out on your veggies, can make it difficult to obtain these nutrients and the health perks they deliver. But pack your grocery cart with these foods, and you'll be well on your way to vitamin bliss. Why you need it: Vitamin E—the collective name given to a group of fat-soluble tocopherols and tocotrienols—primarily functions as an antioxidant in the body to limit oxidative stress caused by free radicals. Think of free radicals as the Tasmanian Devil cartoon—they go around wreaking havoc on immunity and muscle cells. By helping to manage free-radical damage, vitamin E is an important player in supporting overall health. Vitamin E—the collective name given to a group of fat-soluble tocopherols and tocotrienols—primarily functions as an antioxidant in the body to limit oxidative stress caused by free radicals. Sadly, nutrition surveys show that the majority of people aren't getting the vitamin E they need for optimal health. This is especially true for people following a low-fat diet, since vitamin E is most prominent in high-fat foods like oils and nuts. How much you need: At least 15 milligrams daily for adults. Consider the seeds of the sun-worshiping plant an inexpensive way to top off your vitamin-E stores. In fact, they are home to a range of vitamins and minerals including thiamin (B-1), magnesium, and selenium. Heck, each serving even supplies 6 grams of protein. So look for ways to sneak sunflower seeds into your diet where you can. For example, you can sprinkle them on salads, yogurt, and your morning oats; blend them into protein shakes; or take them on the go. Among nuts, almonds lead the way when it comes to vitamin-E content. Known for being a nutrient powerhouse, they've actually been studied as major health-benefit providers in multiple clinical and performance-based studies. In a study out of the Journal of Nutrition, subjects who consumed 10 grams of almonds per day demonstrated support for HDL ("good") cholesterol. Among nuts, almonds lead the way when it comes to vitamin-E content. More reason to go nuts for almonds: A study in the Journal of the International Society of Sports Nutrition found that crunching your way through a couple servings of almonds each day could improve endurance exercise performance. The bounty of nutrients found in almonds, like arginine and quercetin, might contribute to more efficient utilization of carbohydrates by the body during exercise. If you're looking for an oil change, consider going with hazelnut. The toasty-tasting oil is rich in vitamin E as well as loads of ticker-friendly monounsaturated fat. It's best not to use hazelnut oil for high-heat cooking, but it's amazing in salad dressings; drizzled on roasted vegetables, pasta, cooked meats, and sliced tomatoes; or blended into sauces like pesto. Who says bodybuilders can't eat a little gourmet food? Other good sources of vitamin E include sunflower oil, grapeseed oil, pumpkin seeds, pine nuts, peanuts and peanut butter, almond butter, wheat germ, and flaxseed (ground and oil). Vitamin K is best known as the clotting vitamin, since it's needed in adequate amounts for blood to clot properly when you nick yourself shaving. How much you need: Adult men require 120 micrograms of vitamin K daily, with women needing 90 micrograms. When you think vitamin K, you should also think dark, leafy greens, since items like Swiss chard are naturally chock-full of the stuff. Other nutritional highlights include healthy amounts of vitamins A and C.
Fortify your diet even further by looking for heads of rainbow chard, as those cheery colors are in fact antioxidant pigments. If you find the flavor of chard too strong to eat raw in salads, you can try steaming or lightly sautéing the leaves to mellow the taste. There is plenty of research showing that the naturally occurring nitrates in beets can improve exercise performance, so the fact that the leafy tops provide a payload of vitamin K makes them the perfect two-for-one vegetable for athletes.7-9 As a bonus, beets tend not to be as bitter-tasting as chard. There is plenty of research showing that the naturally occurring nitrates in beets can improve exercise performance, so the fact that the leafy tops provide a payload of vitamin K makes them the perfect two-for-one vegetable for athletes. The best place to hunt down beet greens is at farmers' markets, where farmers often sell bunches of beets with the tops still attached as a sign of freshness. You may even be lucky enough to find beets with their tops still attached at some supermarkets. Though most people overlook this peppery green, it's a great way to infuse your diet with a nutritional bounty, including useful amounts of vitamin K. In fact, a study funded by the Centers for Disease Control and Prevention determined that watercress was the most nutrient-dense option among 46 fruits and vegetables analyzed, including kale, berries and sweet potato.10 Watercress can punch up salads, pasta dishes, sandwiches, and soups. Other good sources of vitamin K are parsley, cilantro, kale, dandelion greens, collards, spinach, mustard greens, radicchio, broccoli raab, and broccoli. McBurney, M. I., Elaine, A. Y., Ciappio, E. D., Bird, J. K., Eggersdorfer, M., & Mehta, S. (2015). Suboptimal Serum alpha-Tocopherol Concentrations Observed among Younger Adults and Those Depending Exclusively upon Food Sources, NHANES 2003-2006 1-3. PloS One, 10(8), e0135510. Humaira, J., Sultan, F.A.T., Iqbal, R. & Gilani, A.H. (2015). Dietary Almonds Increase Serum HDL Cholesterol in Coronary Artery Disease Patients in a Randomized Controlled Trial. Journal of Nutrition, 145(10), 2287-2292. Yi, M., Fu, J., Zhou, L., Gao, H., Fan, C., Shao, J., ... & Lapsley, K. (2014). The effect of almond consumption on elements of endurance exercise performance in trained athletes. Journal of the International Society of Sports Nutrition, 11(1), 1-9. Pearson, D.A. (2007). Bone health and osteoporosis: the role of vitamin K and potential antagonism by anticoagulants. Nutrition in Clinical Practice, 22(5), 517-544. Weber, P. (2001). Vitamin K and bone health. Nutrition, 17(10). 880-887. Juanola-Falgarona, M., Salas-Salvadó, J., Martínez-González, M. Á., Corella, D., Estruch, R., Ros, E., ... & Lapetra, J. (2014). 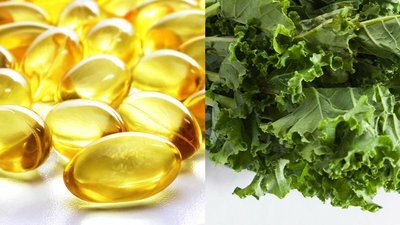 Dietary intake of vitamin K is inversely associated with mortality risk. The Journal of Nutrition, 144(5), 743-750. Jones, A.M. (2014). Dietary nitrate supplementation and exercise performance. Journal of Sports Medicine, 44(1), 35-45. Murphy, M., Eliot, K., Heuertz, R. M., & Weiss, E. (2012). Whole beetroot consumption acutely improves running performance. Journal of the Academy of Nutrition and Dietetics, 112(4), 548-552. Lansley, K.E., Winyard, P.G., Bailey, S.J., Vanhatalo, A., Wilkerson, D.P., Blackwell, J.R., Gilchrist, M., Benjamin, N. & Jones, A.M. (2011). Acute dietary nitrate supplementation improves cycling time trial performance. Medicine and Science in Sports and Exercise, 43(6), 1125-1131. Di Noia, J. (2014). Peer Reviewed: Defining Powerhouse Fruits and Vegetables: A Nutrient Density Approach. Preventing Chronic Disease, 11.